What comes to mind when you think of the city of London? Perhaps it’s Buckingham Palace, perhaps it’s the Houses of Parliament, the River Thames or its culturally and ethnically diverse population. Whether you visit for a day or two or set-up home in this big city, you learn quickly that London has so much to offer you. So much in fact you could spend a whole year going to different attractions each day and still have plenty of stuff to fill your schedule for another year. In the following post therefore, we wanted to give you some travel tips to work from if you are heading to the capital for a break or already live there. It would be impossible to list everything, so we have selected what we believe are 5 of the best things to do in London. One of the most famous and recognisable reminders of Britain’s darker past. Although the Tower is associated mostly with torture and death, as both occurred here; it is also the home to a once great and intimidating palace fortress and an armoury. You are there to hear stories from one of the Beefeater tour guides and to see the glorious Crown Jewels, but did you know the Tower was London’s first official zoo? Check out Royal Beasts to learn a little about some of the different exotic and strange animals that have lived in the Tower. It is fair to say that the British Museum, established in 1753, is one of the most amazing and breath-taking collections of human history kept anywhere in the world. It spans more than 2 million years of our story. There is enough to spend a good few days looking at here from the eerie and majestic Egyptian mummies to the intricate Parthenon sculptures and the historically crucial Rosetta Stone. Is it any surprise that it welcomes around 6 million visitors every year? The Royal Opera House has been in the Covent Garden area for centuries. Nowadays, still an active and prominent venue in the opera world, you can have a chance to see such a wonderful building from a different perspective. You can take the Royal Opera House Backstage Tour to have a more up close and personal look at the auditorium and behind the scenes. You may also have a chance to see the Royal Ballet while they are in class, as well as hearing stories about all the greats of the genre who have sung and performed there. 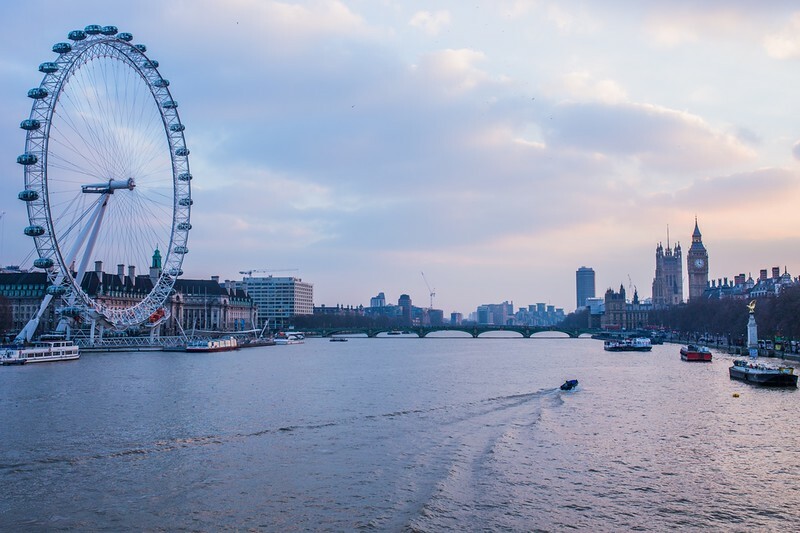 Located as centrally as possible in the heart of London, the larger than life observation wheel, standing at 135 metres is the tallest of its kind in the world. As well as being a example of the amazing things man can do with engineering and design, it has also become a global icon for the city. The views are obviously the biggest draw and with 360 degree views of London and its famous sights, it’s not hard to see why it is a must on any visitor’s itinerary. Another of the most easily identifiable icons and landmarks of the city, Big Ben has been keeping time over the city for hundreds of years. What you may not realise is, if you book through your local MP, you can arrange a special tour that takes you up to the top where the Great Bell (the actual bell’s name) is located in the Elizabeth Tower. Be prepared to walk…a lot, as it is 334 stone spiralling stars up to the top. You also will get the chance to go behind the face and see the mechanics of the clock. Dan Claydon is the founder of wanderpig.com, a website dedicated to travel. He's been travelling for the last 10+ years and has even worked on a cruise ship. Dan has a passion for travel and has put together a website that will you help you become a better traveler. Visit WanderPig now for the latest travel tips.